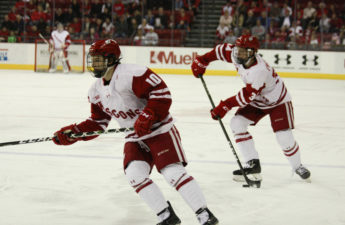 With doubts in the air and on the ice, the University of Wisconsin men’s hockey team is set to welcome the Ohio State Buckeyes to the Kohl center this weekend for what is expected to be an intense Big Ten series. 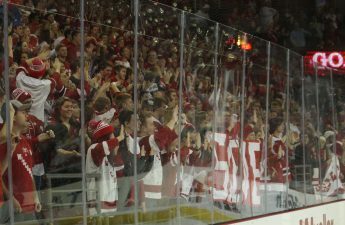 The Badgers are coming off of a win against Michigan Tech last weekend, which was a great start to their season. UW showed much promise during their first match of the season, and have already begun making a name for themselves in the NCAA. Since their game Sunday, the Badgers have managed to move up five spots in the USCHO poll by the NCAA, earning the 12th place spot overall. The only other Big Ten teams in front of them are No. 3 Minnesota, No.10 Penn State and Big Ten newcomer No. 8 Notre Dame. Ohio State is skating into this weekend with one loss already under their belt after their weekend series against Ryerson. The Buckeyes managed to get four points on the board, but it wasn’t enough to keep up with Ryerson, who managed to score seven points throughout the night. That loss won’t count against Ohio State’s record, since Ryerson is a Canadian college and any games played against non-American teams do not count against a school’s overall record. Still, the loss is something that Ohio State will have to look at refuting this weekend to prove they still have what it takes to play among the best of the Big Ten. 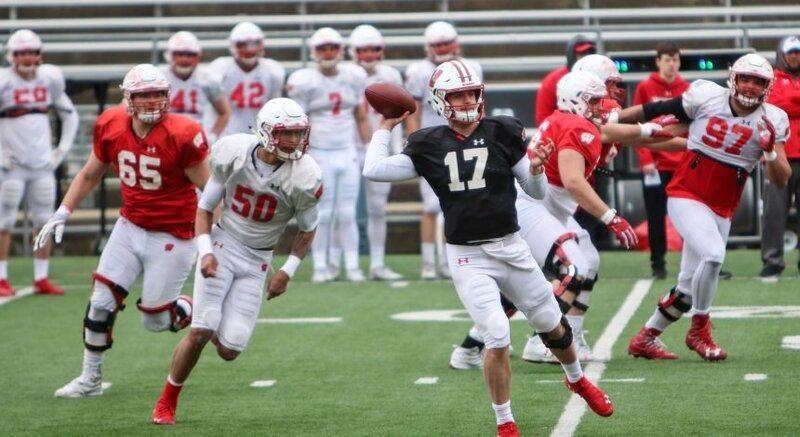 Wisconsin has a secret weapon on their side in Kyle Hayton, the graduate transfer from St. Lawrence. Hayton enters this season with a .909 save percentage, allowing only two goals during the Badgers game against Michigan Tech earlier this month. Hayton’s performance has placed him on the Mike Richter Award watch list, an award given to the most outstanding goaltender in the NCAA based on coaches’ vote. 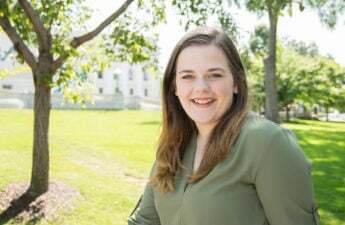 The award is named after former Badger Mike Richter, who in his career played for the New York Rangers, earning a Stanley Cup with them, and competed for the U.S. Olympic team three times, each of which earned the USA one silver metal. The Badgers and the Buckeyes are set to battle it out at the Kohl center Friday and Saturday night at 7 p.m. and 5 p.m. respectively. Fans who are unable to attend the game in person can also listen to the Badgers on iHeart Radio on either night.